Few animals arouse anything like such intense emotions as snakes and from the book of Genesis to “Snakes on a Plane”, whether you love them or loathe them, there is little arguing that these reptiles have been on the receiving end of some pretty dreadful PR! While you can live your whole life in Britain and probably never see one, the growing popularity of holidays in increasingly exotic places makes the odds of a chance encounter much higher. Even so, despite what the movies might have us believe, massive, lethal serpents don’t lurk behind every tree just biding their time before sliding out to attack you. Never-the-less snake bite is a serious danger in some parts of the globe and people do die from it – and not only in out of the way areas of the developing world, miles from the nearest hospital. Clearly, it pays to be careful and fortunately there are plenty of things you can do to help make sure your trip remains snake-free and medically uneventful! Avoid Snake Bites? Avoid Snakes! The easiest way to avoid snake bites is to avoid snakes in the first place – and this is not as difficult as it might seem. 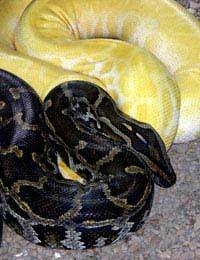 Snakes are most commonly seen when they are “basking”, usually early in the morning or evening. Being cold-blooded animals, they need to warm themselves up in the sunshine before they can go about their life – but this, of course, means that they are fairly sluggish and inactive until they have. Normally a snake has felt the vibrations of your footsteps – all snakes are deaf – and will have got out of your way long before you would ever suspect that it had been there. When they are cool, however, they simply cannot make their usual swift exit and this probably explains many of the stories about snakes lying in wait for unwary travellers on paths. Steer clear of walking through good basking spots especially rocky ground or clearings in the forest when snakes are likely to be charging their solar batteries and you will be well on the way to a snake-less holiday. When they are not basking, snakes tend to spend their time in shade, often hiding under rocks or beneath vegetation – they are prisoners of their cold-blooded biology, having to alternate between sitting in the sun to warm up and staying out of it to avoid overheating. Keeping your hands out of likely-looking places such as hollow logs or rock crevices is a good way to make sure you don’t rouse a resting snake. Whenever you walk in “snake-country”, watch where you put your feet and if you need to cross fallen trees or boulders, take a good look on the other side first; even the most placid of snakes will scarcely welcome being unceremoniously trodden on! Although snakes would rather save their venom for their prey than waste it on you, they will bite in self-defence and snakebites often take place when the animal is taken by surprise. In places where poisonous snakes are common, many fatal bites happen when one is trodden on, often when it is sluggish and not fully warmed-up, by someone in bare feet or sandals – making a pretty clear case for always wearing stout footwear. It goes without saying that snakes should never be handled except by people who really know what they are doing and even an apparently dead snake is best left well alone as their nervous systems can sometimes remain active for quite a while – and may deliver a posthumous bite on reflex. If your adventure involves camping or sleeping out, bear in mind that your nice warm body could seem a heaven-sent source of warmth to a cool snake, so to avoid sharing your sleeping bag with one, make sure your intended site is away from obvious hiding places. Pick a clearing and tuck your mosquito netting well under your bag to help provide a barrier to keep out any unwelcome nocturnal visitors. Familiarising yourself with the most likely kinds of snakes to be encountered can be helpful before setting off on your trip, since a knowledge of their habits and haunts should help you be able to keep out of their way. There is a lot of discussion about which snakes are “aggressive” and will attack – the King Cobra, Bushmaster, Tropical Rattlesnake and Mamba often topping the list – while others, such as Gaboon Viper, are said to be harder to offend. It is probably best not to rely too heavily on this kind of talk – like people, there are irritable and tolerant members among all kinds of snakes. Although they can be deadly, the danger of being bitten by venomous snakes is very small compared with cholera, dysentery and many other diseases which abound in the same parts of the world – and statistically less risky than driving to the airport. It is perfectly possible to stay safe without spoiling your trip – by remembering that old proverb about an ounce of prevention beating a pound of cure. Remember too that not all snakes are poisonous; only around 20 per cent of the world’s 3,000 or so species are and of these only around a third are harmful to man – so the odds are in your favour to start with!